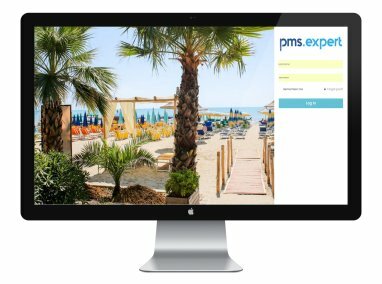 PMS Expert is an online hotel platform that provides all the tools you need to manage your hotel in a single system. Your reception at a click! 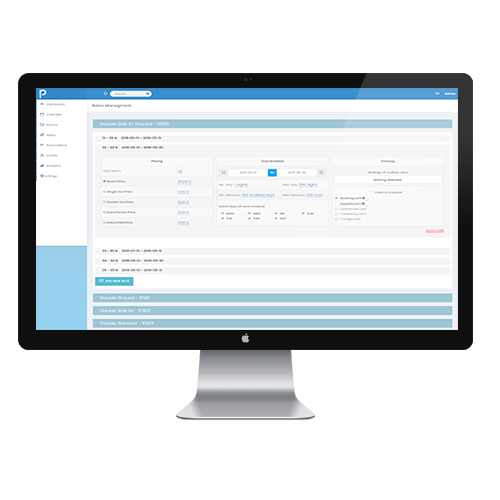 PMS is an online system that is based on the web interface, installed on our servers. You can access it anywhere through a simple identification. PMS EXPERT is configured on unlimited bandwith servers, offering unlimited space and data storage. All connections are secured and encrypted. Pms.expert is developed using the latest data protection technologies. The system is PCI Compliant certified. It is subject of several periodic scans from certifications entities. 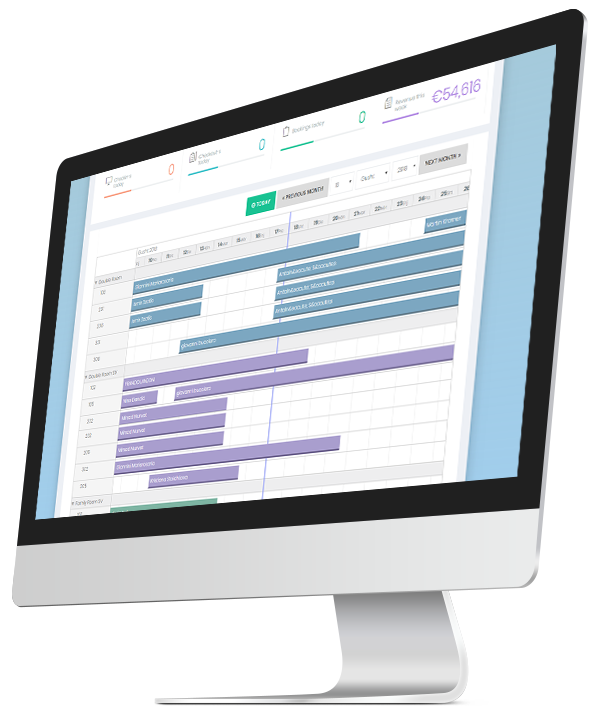 The web-based system, PMS EXPERT, has all of the key functions and tools you need to manage your hotel effortlesly. Direct connections with Booking, Expedia and over 100 other channels. It helps you mantain your inventory and prices always synchronized and updated. Managing has never been easier! Take advantage of your website traffic and increase your sales using a booking engine. The client will have the option of booking directly through your web site avoiding those extra commisions. Make the most out of your website! Did you know? 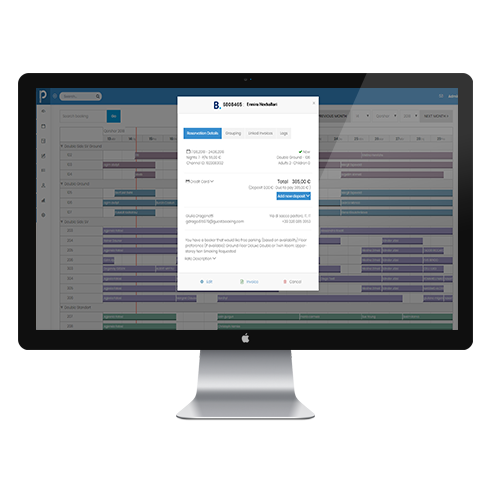 Choosing the right hotel management system can SAVE you up to 4 hours of work a day! PMS EXPERT is always concerned about your property’s data privacy. We believe you are too! Log-in page is based on two-factor authentication, thus you’ll always know who’s accessing your hotel’s data. Every time a new login attempt is being made on a new device, you’ll get notified with a SMS, and its up to you to grant access or deny the login. 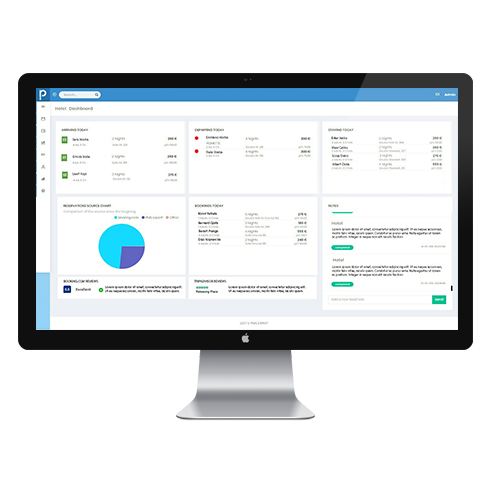 The Dashboard is the section which has the overview of your actual property state. Keep track of check-outs, check-ins, and the guests currently residing in the property. New bookings will be shown in this section. Why to choose PMS EXPERT? A lot of other features to discover …. Web-based … what’s so special about it?